It’s hard to believe The Big Game madness is almost upon ATL! Football fans not heading to the Super Bowl at Mercedes-Benz Stadium on Sunday, Feb. 3, 2019, can get a front row seat to the action at these local Atlanta hotspots. City Winery, a restaurant, urban winery, private event space and intimate music venue, is celebrating the Big Game with the ultimate viewing party presented by MAJIC 107.5. Grab a seat before kickoff and enjoy MAJIC’s Big Game Watch Party that will have a live DJ spinning prior to the game and between 1st and 3rd quarters, giveaways, food and cocktail specials and more. For $25, partygoers can also enjoy an all you can eat buffet featuring fan favorites including boneless and bone-in wings; hot dogs with all the fixings; chips and dips; chili with all the fixings, tater tots; black beans and yellow rice; brownies; cookies; and more. Imbibers can also take advantage of $5 Barcardi Rum punch, Cazadores margaritas, $12 PBR buckets and $3 Down Home Brewing cold brews. While rubbing shoulders with the crew from MAJIC 107.5, football fans will also have the chance to win up to $1500 in cash and prizes. The event begins at 5:30 p.m. There is no cost for entry, but guests will need to register at: https://majicatl.com/2299566/majics-big-game-watch-party-sign-up-now/#//. The first 20 people to register will receive a a 50% discount off of food. 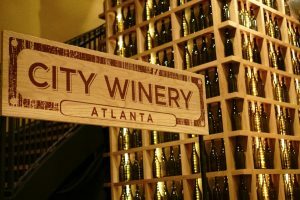 For more information, visit www.citywinery.com/atlanta or call 404-946-379. 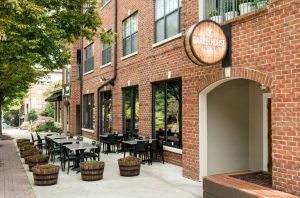 City Winery is located at 650 North Avenue NE, Suite #201, Atlanta, GA 30308. Stay connected on Facebook at www.facebook.com/citywineryatl and on Instagram, and Twitter @CityWineryATL. 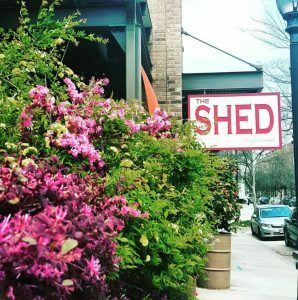 Known for their mouthwatering brunch offerings each Sunday, The Shed at Glenwood is bringing the heat for The Big Game on Sunday, February 3, 2019. Brunch lovers can relax at the expansive bar or grab the crew and enjoy an unforgettable, pre-game brunch buffet in the dining room from 10 a.m. to 4 p.m. Available for $25 for adults and $12.50 for kids, fans can take advantage of favorites such as: a Field Green Salad with Shallot Vinaigrette; Scrambled Eggs; Cheese Grits; French Toast; Fried Chicken and Gravy; Salmon served with a mustard cream sauce; Turkey BLT Sliders; Bacon; Chicken Sausage; Roasted Potatoes; Mac + Cheese; Creamed Spinach; Biscuits and Whipped Honey Butter; and assorted pastries, muffins and cookies. 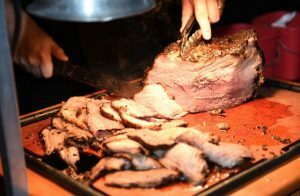 For more information, visit http://www.theshedatglenwood.com/super-bowl-sunday-brunch-buffet.html or call 404.835.4363. The Shed at Glenwood is located at 475 Bill Kennedy Way SE, Atlanta, GA 30316.